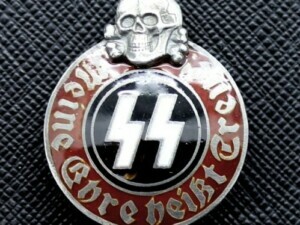 The Allgemeine-SS, (General-SS), was originally formed in May 1923 under the auspices of the SA, Sturm Abteilung, (Storm Troopers), as the Stosstrupp Adolf Hitler (Shock Troops), and was redesignated Schutzstaffel, (Protection Squad), in April 1925 with the official acceptance of the name verified on the second anniversary of the failed Munich “Beer-Hall” Putsch on November 9TH 1925. 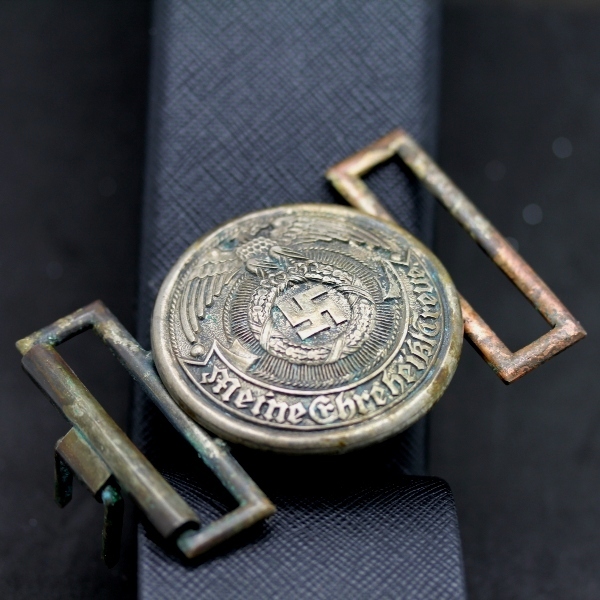 As a subordinate unit to the SA early SS personnel wore the standard SA style box belt buckle. 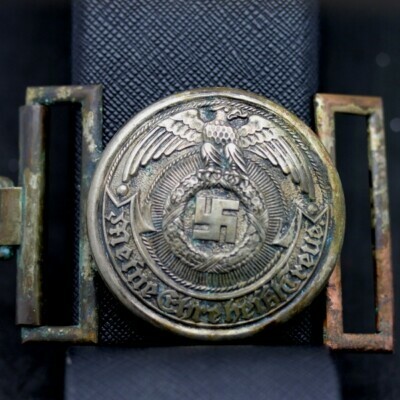 It is believed that Adolf Hitler personally designed a new pattern box belt buckle specifically for wear by SS EM/NCO personnel with the manufacturing patent being originally granted to the Overhoff & Cie. firm in Lüdenscheid. 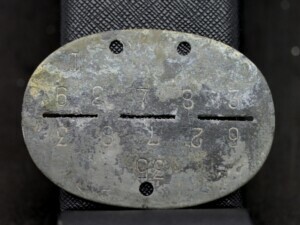 This new style buckle was adopted for wear by EM/NCO personnel in late 1931 or early 1932. 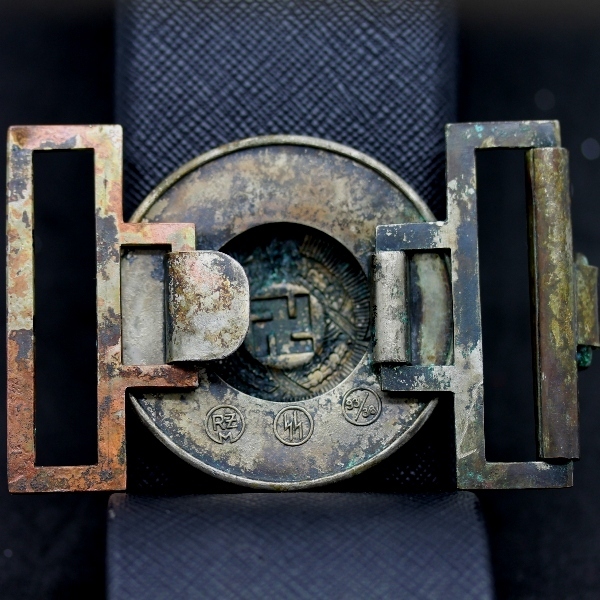 Although the SS EM/NCO personnel’s belt buckle was officially introduced in late 1931 or early 1932 it is unknown if the Officer’s buckle was introduced at the same time. Of Note: The RZM, Reichzeugmeisterei, (National Equipment Quartermaster), was official founded in June 1934 in Munich by the NSDAP as a Reich Hauptamt, (State Central Office), and was based on the earlier SA Quartermaster’s Department.